We believe in and offer Cooperation based upon the principles of: Win-Win partnership, transparency, ethics, responsibility, joint planning and coordination of activities, mutual interest, mutual information and autonomy of both Parties. We offer small to medium enterprises big business development solutions and policies normally only available to Multinational concerns. We recommend that all SMEs initially appoint us on a retainer basis for just one day monthly. This is usually sufficient to deal with all but the most difficult challenges. Any other fees for the implementation of projects can be deducted from the total funds that we collect for you from your clients so. "No win, no fee"
Does your Government, Municipality, University, Company, Hotel, Franchise, SME have enough expertise to reach all your aims and goals to compete in the global marketplace? In our experience failures are not usually caused by lack of assets or ideas but simply by a lack of momentum or insufficient cash flow. A catch 22 situation arises with Senior Executives knowing that they need Professional top level help and contacts but lacking the cash flow to acquire it so they end up taking advice from mediocre accountants/lawyers or Internet urban myths with no international experience and hunting "investors" with no practise in how to speak to them so end up clinging on to straws instead and failing to realise great ideas. 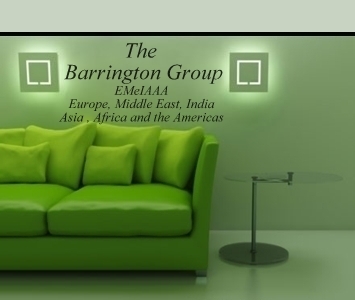 The Barrington group, is a tried and tested team of Independent, trouble shooting, Global Management and Advisory professionals with top level consultants in many countries spread around the world. We improve, solve problems, mediate and advise, but don't just produce a plan and leave. We stay on ( if required by the client) to manage the solutions. We have taken many fledgling companies to brand leaders on a minimum budget thanks to our top level contacts and experience. We are proud to be a philanthropic entity which will go the extra mile to help distressed or fledgling businesses, to empower the less fortunate, young people, minorities and women. Our founder is Barrington Roy Schiller, the British entrepreneur who has been an International business expert and trouble-shooter for over the last 40 years. Pull up a sofa, hang around a while and get to know us better. We are based in the UK but travel the globe regularly on assignments so work internationally and have partners worldwide on a par with KPMG, Accenture, Ernst and Young, KPMG and McKinsey at a fraction of the price. Please contact us for a completely free initial consultation if your organisation could benefit from cost reduction, Tax minimalisation, more revenue, and professional business development. 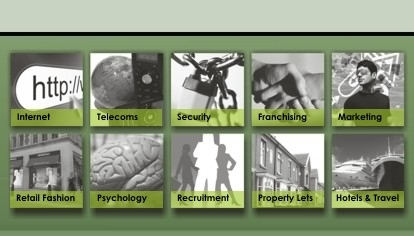 Please Email me personally and let's arrange to discuss how I and my staff can best help you. We like to think of each organisation as a chess board. Put the right pieces in the right place and then take an expert strategist and success is guaranteed.